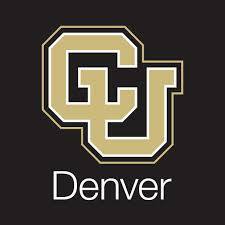 A graduate student at the University of Colorado Denver faked data in his work at a drug research lab that has notched two retractions and an expression of concern over “data integrity,” according to an extensive university investigation. It seems like many more retractions are on the horizon for grad student Rajendra Kadam, who worked in the lab of Uday Kompella, a pharmaceutical researcher at the university. Significant discrepancies were identified in 10 papers involving raw and processed LC-MS/MS data used in the manuscripts…No evidence was found to suggest that any other students, faculty or employees in the laboratory of [redacted] knew that data from the LC-MS/MS [liquid chromatography-mass spectroscopy] machine was being falsified. Generally, schools must have written permission from the parent or eligible student in order to release any information from a student’s education record. in the Kompella lab. Because Kadam was the only one capable of using the LC-MS/MS machine, there was no oversight for his work. He also refused to train other students to use the machine. Influence of lipophilicity on drug partitioning into sclera, choroid-retinal pigment epithelium, retina, trabecular meshwork, and optic nerve. Sclera-choroid-RPE transport of eight β-blockers in human, bovine, porcine, rabbit, and rat models. Influence of choroidal neovascularization and biodegradable polymeric particle size on transscleral sustained delivery of triamcinolone acetonide. The committee ended by recommending that retractions be requested for 10 articles, expressions of concern issued for eight, and the FDA, NIH, and US patent office be notified so they could check into any data provided by the lab. The University takes scientific misconduct seriously, and has taken numerous steps to address this situation. After learning of the allegations, the University initiated a federally mandated inquiry and investigation. At the conclusion of the investigation, it was found that Raj Kadam engaged in research misconduct while he was a student at the University…All affected publications, co-authors and funding agencies have been notified. Procedures within the lab have been revised and training has been enhanced institution wide to prevent these types of events going forward. We remain committed to fostering an environment that promotes the responsible conduct of research and delivers an exceptional educational experience to our students. Drug Metabolism and Disposition is publishing this Editorial Notice of Concern regarding the integrity of the LC-MS/MS data in this article. An investigation by the University of Colorado determined that some LC-MS data in several other papers were falsified or fabricated by R. S. Kadam, who was the only respondent in the investigation. The Investigation Committee was unable to validate the LC-MS data in the above-referenced publication and thus could make no definitive determination relating to the integrity of the data in this manuscript. The paper has been cited eight times, according to Thomson Scientific’s Web of Knowledge. The University of Colorado and authors have requested that this article be withdrawn due to data integrity problems with some LC-MS/MS peak areas in Figure 10 (A-D) and Figure 11 (A-C). The data were found to be falsified to improve the differences or kinetics. Drug Metab Dispos has retracted this article. That paper has been cited twice. The University of Colorado and authors have requested that this article be withdrawn due to data integrity problems with the research represented in Tables 3, 4, and 5, and in Figs. 1–5. The Journal of Pharmacology and Experimental Therapeutics has retracted this article. Funding for the research came from the NIH, which means the ORI will open a case on the matter. Additional funding came from Pfizer. Thank you for your enquiry about a recently published retraction in The Journal of Pharmacology and Experimental Therapeutics and a retraction and a notice of concern in Drug Metabolism and Disposition. These items initially went behind the paywall, as this happens automatically for newly published articles. However, they have since been made freely accessible, as you correctly noted should be done. For the three articles in question, we learned about the misconduct because we were contacted by the University of Colorado, who had conducted an investigation. The two retractions were recommended by the University of Colorado based on their findings, as explained in the notices. The decision to publish a Notice of Concern instead of a retraction for the third article was due to the fact that although the investigative team was unable to validate some data, they also did not have enough evidence to conclude that there had been misconduct. This is explained in the notice itself. We’ve reached out to Kadam and Kompella, and will update if we find anything else out. Self-assembled phenylalanine-α,β-dehydrophenylalanine nanotubes for sustained intravitreal delivery of a multi-targeted tyrosine kinase inhibitor. Suprachoroidal delivery in a rabbit ex vivo eye model: influence of drug properties, regional differences in delivery, and comparison with intravitreal and intracameral routes. Hypoxia alters ocular drug transporter expression and activity in rat and calf models: implications for drug delivery. Immunohistochemical and functional characterization of peptide, organic cation, neutral and basic amino acid, and monocarboxylate drug transporters in human ocular tissues. Hybrid dendrimer hydrogel/PLGA nanoparticle platform sustains drug delivery for one week and antiglaucoma effects for four days following one-time topical administration. Hydrophilic prodrug approach for reduced pigment binding and enhanced transscleral retinal delivery of celecoxib. Synthetic LXR agonist suppresses endogenous cholesterol biosynthesis and efficiently lowers plasma cholesterol. Pigmented-MDCK (P-MDCK) cell line with tunable melanin expression: an in vitro model for the outer blood-retinal barrier. Transporter targeted gatifloxacin prodrugs: synthesis, permeability, and topical ocular delivery. Polyamidoamine dendrimer hydrogel for enhanced delivery of antiglaucoma drugs. Trabecular meshwork and lens partitioning of corticosteroids: implications for elevated intraocular pressure and cataracts. Influence of drug solubility and lipophilicity on transscleral retinal delivery of six corticosteroids. Intravitreal Poly(L-lactide) Microparticles Sustain Retinal and Choroidal Delivery of TG-0054, a Hydrophilic Drug Intended for Neovascular Diseases. Human scleral diffusion of anticancer drugs from solution and nanoparticle formulation. Cassette analysis of eight beta-blockers in bovine eye sclera, choroid-RPE, retina, and vitreous by liquid chromatography-tandem mass spectrometry. Small detail: you mention that [Rajendra Kadam] “also refused to train other students to use the machine.” However, the RIO’s report reads: “Even when other students asked to learn how to use the LC-MS/MS, [R. Kadam] did not train them and was not required to do.” I think the last part of the sentence should not be omitted, otherwise the general idea is lost. This report contains excellent examples of what I consider to be significant contributing factors to research misconduct: Inadequate supervision of trainees and, very likely, no significant consequences for the mentor or the university..
“The Investigation Committee has significant concerns about the quality of the mentoring of students and post-doctoral fellows”. I believe such misconduct will continue to occur until such mentors and their universities are held responsible for the inadequate training. The mentor, as well as the student, should be held responsible and appropriate ORI sanctions applied to both of them. Others were used to get NIH grants”. To submit such data in a Federal grant application is a Federal crime. It is likely that millions of taxpayer dollars were wasted. Apparently, universities are only charged when Senator Grassley gets on the case. We know that RCR courses don’t reduce misconduct. I believe assuring high quality mentoring in training grants by holding responsible parties accountable could. Whoever continued to give funds to the offender, failing to verify the accuracy of the data that he produced, should be identified. Then, they should be made to provide funds to the honest students who did not resort to fraud, especially the ones who helped to bring the offender to justice. Uday Kompella, the supervisor/professor has his name on these 18 papers. Are the authorities trying to indicate that this professors, whose responsibility is to supervise his students – had no idea about what his student was doing? How much of that funding went to Kompella’s lab directly? And how much funding, if any, did Kompella receive from any source based on Kadam’s productivity? Interesting, and provides one explanation for why certain individuals in labs are reluctant to share their workings/techniques, etc. A very clear message is that open data in open labs would at least prevent this problem from arising. What always saddens me about these “lone wolf” retractions is the impact on the other authors on these papers who, having presumably done nothing wrong, have lost them from their resumes. If you cosign a paper, you should endorse all its content. It’s too easy to say “I have done nothing wrong, it’s all the grad student/postdoc’s fault”. In other words, if a potential co-author feels that something got wrong with a paper, he should ask for his name to be withdrawn before submission. The main drawback with this gold-rule is that it runs counter to the dominant Publish-or-Perish culture. I still cannot understand why only the student/post-doctoral fellow or other person so often blamed. Principal Investigators and mentors should be blamed as they get the credits for the publications as senior authors and end up getting tax payers’ money as federal grants. These PIs do not perform their duties diligently and get carried away by the results they wanted presented to them. In my view, the buck should stop at these PIs as well as the individuals who fabricate the data. Why should the buck stop at the PI? It is the university administrators who uphold the publish (and get grants) or perish culture. In the UK several universities have recently fired PI’s for not meeting grant money targets. Yes. As the wheels grind ever so slowly, we should expect to see legal and financial recriminations for the golden boy… and the university should be applying sanctions to the PI as well as anyone else with responsibility. Does anyone doubt that the feds will come down hard on golden boy? […] Does anyone doubt that the feds will come down hard on golden boy? Yes, me. Examples of the federal government coming down hard on scientific fraudsters are few. Why should I believe this case to be any different? One needn’t channel The Amazing Kreskin to predict the likely outcome here, assuming of course that the golden boy is found after a thorough investigation to be responsible. “The feds,” which is to say ORI, will apply their standard set of punishing sanctions: the offender will agree to (1) have his work “supervised” for three years, and perhaps most punishing of all, (2) serve on no study sections for the same period. Oh yeah – UC Denver will not return a dime of the grant money. You’re absolutely correct.However, I am told that the problem is not at the ORI but with the Attorney General’s Office which rarely prosecutes for research misconduct. With the, rare exception,such as as the case recently brought to their attention by Senator Grassley of a problem at Iowa State U.
I was in the same dept as Uday (briefly) when he was still in Nebraska. It seemed like he ran a pretty tight ship in his lab, but not tight enough apparently. What a huge a mess. I think these types of cases should be handled differently because they involve drugs. To contrast: While any type of fraud is unacceptable, the impact a manipulated gel on a basic science project is likely only wasted time and money. In contrast, fraudulent data from drugs can result in patients getting the wrong dose or being recommended a drug that won’t help them or not being recommended a drug that will help them. A company may also waste resources on developing a drug that is actually not safe or effective, when those resources could have been used to develop one that was beneficial. The patients, FDA, and industry are all hurt by this kind of fraud. When the fraud can have the direct result of huring the health of people, I see it as a worse kind of fraud. I wonder how much misdirection he created with his 29 pub’s. Kornfeld quotes: “The Investigation Committee has significant concerns about the quality of the mentoring of students and post-doctoral fellows”. And yet none of the four pages worth of recommendations address this point, even though it is more important than anything else they say. The scapegoat here is the student. The accountability here lies with the PI and none seems to be going in that direction. That is the greater tragedy. The PI has questions and comments on multiple articles in pubpeer. Rajendra Kadam is not an author on most of the papers in question on pubpeer. It is hard to believe that the PI didn’t play a role in all this. Agree with AGR that Rajendra Kadam is the scapegoat here. An update on the retracted natire of the papers that were supposedly meant to be retracted. As far as I can tell, only 3/10 of the papers have been retracted. All these fabrications will end if the Principal investigation is also taken responsible. I think not only the student PhD should be revoke but also the PI must pay back the grant money or loose his job or jail and forbid to publish any article forever. For such intentional behaviour, both PI and student don’t deserve to be part of the true scintific community.